Half-baked adventures.. more legal than grandma’s hot box! The world’s first cannabis restaurant. Chris will be the head chef and owner of a new location in Santa Monica, which is set to open later this year. In the meantime, he offers overnight packages: one evening in a private villa in Malibu, with a bespoke cannabis menu (including dishes like lamb chop with THC-infused mint chutney, or New York strip steak with parsnip puree and spiked red wine reduction) which starts at $500 per person. 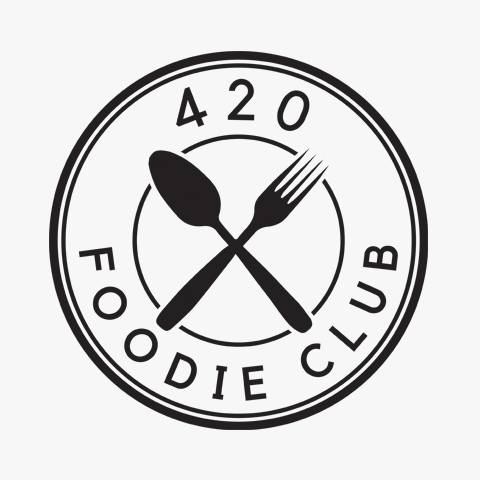 420 Foodie Club is a thriving community and online resource for people like you, who love to cook, make, consume and learn about cannabis cuisine. We strive to destigmatize cannabis food as more than just “pot brownies” by showcasing the diversity and creativity of the modern wave of cannabis chefs and edible makers. Through our site, you will also find creative cannabis infused recipes, reviews of cannabis food products and services, and a listing of the hottest cannabis food events all over the country. Join the club! 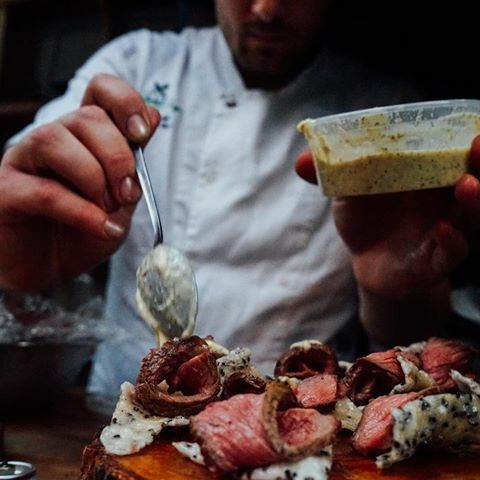 All Aaron’s products are locally sourced and brilliantly presented. 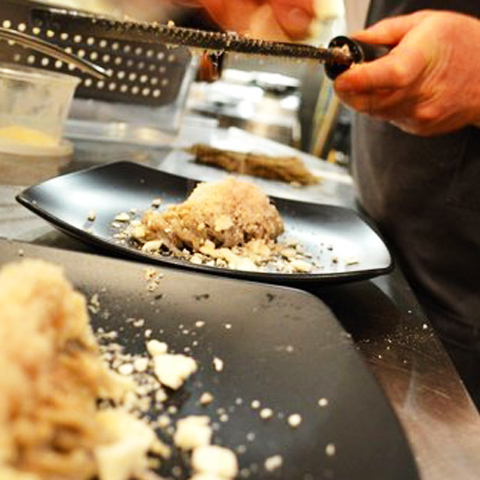 His six-course cannabis-infused dinners with wine pairings start at $130 per person. Details of his Friday and Saturday night events are posted to his Facebook page and bookings are made at Open Table. Welcome to a seat at love’s table. 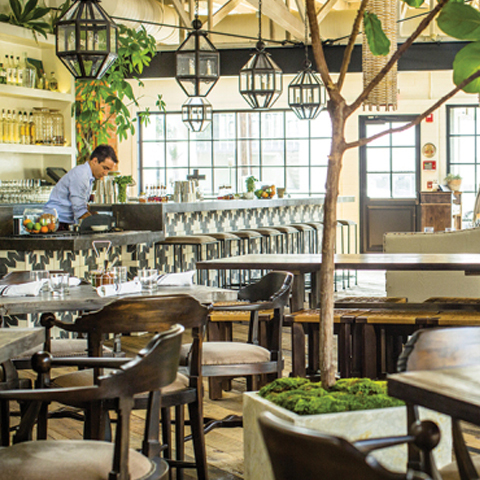 Gracias Madre serves organic, farm fresh, locally sourced food, full of flavor and love with a menu spearheaded by Executive Chef Chandra Gilbert and agave-based cocktail program by Beverage Director Jason Eisner who implemented CBD infused alcoholic beverages to the menu! *Note: Recently introduced Federal regulations may affect the availability of this item. 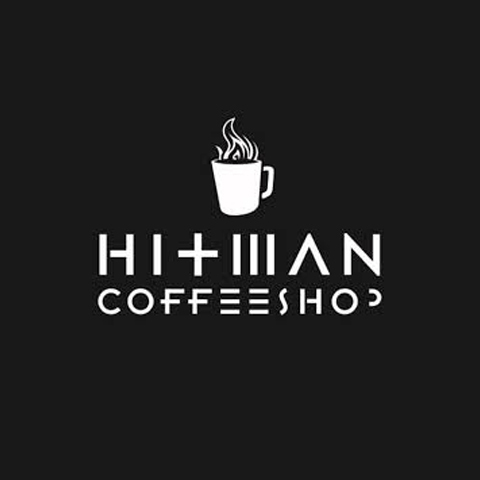 Hitman Coffeeshop & Gallery is a 21+ social lounge. A beautiful & unique multifunctional Art Gallery Space that will host a variety of Art Shows. From canvas, to sculpture, to glass pipes, Hitman Coffeeshop & Gallery will proudly feature: Launch Party’s, Brand Features, Meet & Greets with artists-musicians-and company owners, Art Shows, Photo Shoots, Concerts, Educational Seminars & more! Although this space is a “420-friendly” club, it does not serve or provide cannabis to clients. 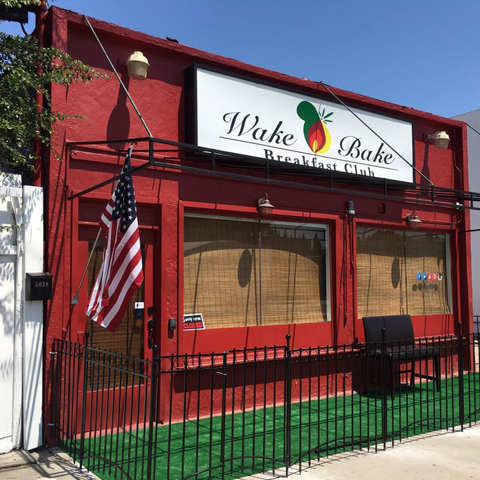 Wake & Bake is the first Amsterdami-inspired cafe in Los Angeles. They are a private culture club that serves coffee, tea, cannabis and culture to their members. Their mission is to create a fun and welcome safehaven for their members to enjoy. until local consumption licenses are issued in L.A! See you soon Los Angeles ! 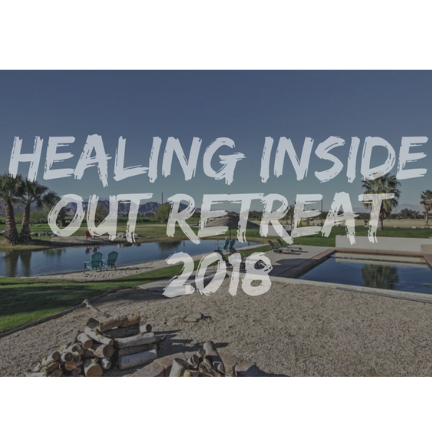 Healing Inside Out Retreat is an amazing celebration of health, nutrition, creativity and cannabis, and we are back for our 3rd year. Bigger and better than ever, we are still focusing on creating a peaceful, informative and safe space to strengthen our bodies and minds together. A relaxing and private experience this retreat is, above all, an elevated experience. Previously known as The 420 Wellness Retreat, these days, changes are in more than the name. With a more amazing venue and more amazing vendors each year, this is not an experience you want to miss. The Hemp & Cannabis Fair is more than your average trip to Stoneyville. 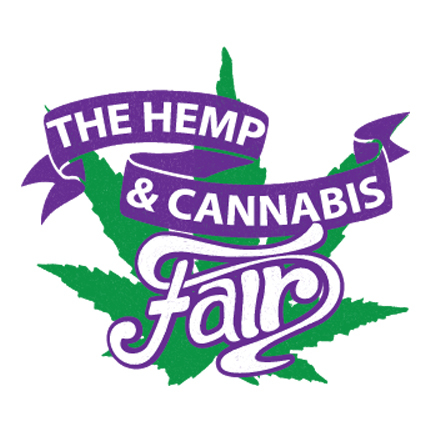 Not only will you discover a large variety of vendors with smoking accessories and other products that will trigger your blood vessels, you’ll also stumble upon useful information on recreational marijuana laws and a laundry list of medicinal uses for patients. There’s so much to see and do here, so put the munchies aside and go exploring. 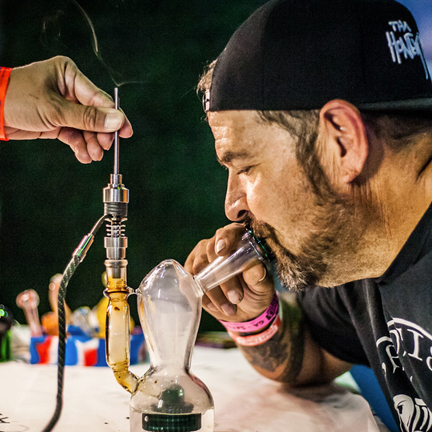 High-tail it on over to the High Times Cannabis Cup, a travelling celebration of ganja that originated in Amsterdam and has since grown to include cities around the world. 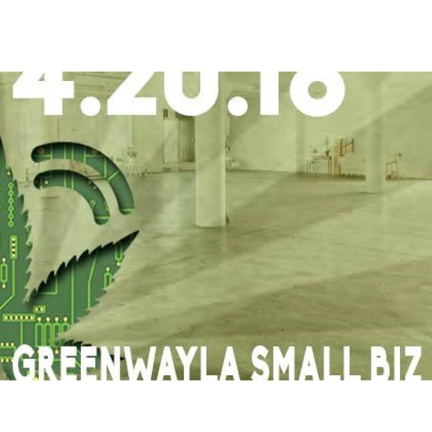 American iterations of this heady event feature live music with a nationally acclaimed headliner, seminars, parties and vendor booths selling all kinds of weed paraphernalia, accessories, artwork and gear. The highlight of the event is the marijuana competition, with judges awarding trophies to the best strains and products in several different categories. OFFICIAL LAUNCH OF GREENWAY MAGAZINE – Held during the largest Celebration in Downtown Los Angeles NIGHT ON BROADWAY – Portions of the proceeds go to various DTLA Charities. 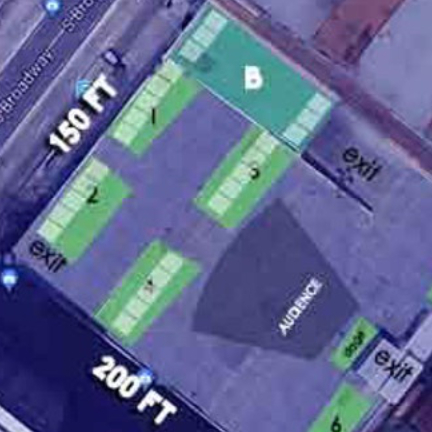 Located near the corner of 4th and Broadway – Exact address will be sent out to all ticket holders the day before the event. GreenWayLA helps YOU find the nearest green products whether you’re out on the go or in the comfort of YOUR own home. 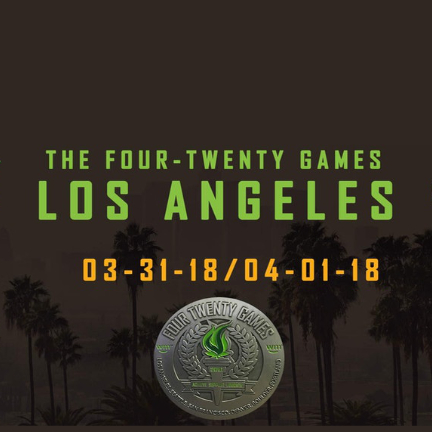 Through a series of active lifestyle events, The 420 Games works to break down the stereotypes that have been built up during the era of cannabis prohibition. Join Professional Athletes, Executives, and Families. This year’s two day event is one you won’t want to miss!! Cannabis Business Seminar- Pasadena, Ca. If you are thinking about entering the cannabis industry or have made up your mind and are ready to start a cannabis business in California, our Cannabis Business Training Courses are for YOU!!! 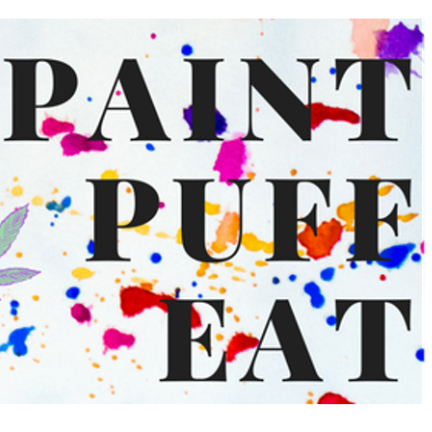 Puff, Pass & Paint - a 420-friendly creative cannabis class in LA! 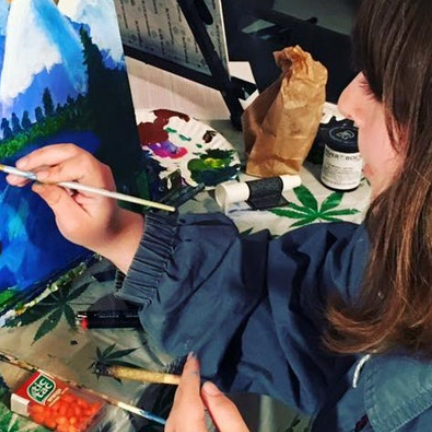 Come join us for the original 420-friendly Puff, Pass & Paint class, with sessions held in Denver, Portland, Washington DC, Vegas, San Francisco, Oakland, Orange County, and LA! 2-hour Puff, Pass & Paint class – all art supplies included; 21 +; non-refundable/non-transferable. Please note that this event is BYOB/BYOC (bring your own cannabis) in order to comply with local laws that prohibit the provision of cannabis. Attendees will receive exact address of location after purchase of ticket to comply with local laws for consumption-friendly spaces. Non-refundable/non-transferable.